Warm redwood paneling shows off Wilkoff’s collection of musical instruments and artwork. 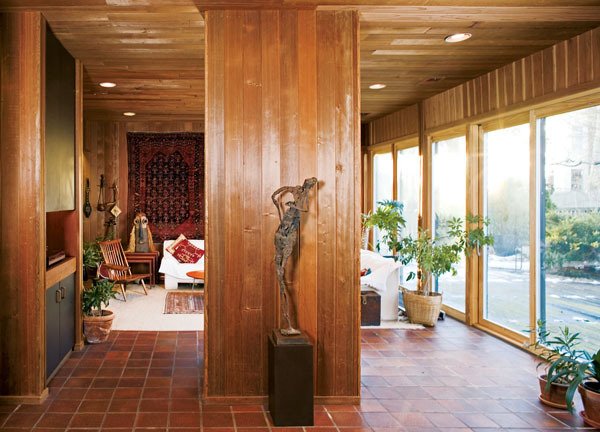 Bob Wilkoff’s house was avant-garde when he built it in 1979, even for eclectic Cabin John. But the most remarkable thing is that he sketched out the plans in a day and built it on the cheap. It was the first residence for Wilkoff, who had worked largely on commercial projects and says his only design concept was “saving money.” The rich, warm paneling throughout the first floor is made of redwood because Wilkoff got it cheap from a canceled project. An uncle who happened to be a vice president at Benjamin Moore donated the paint. 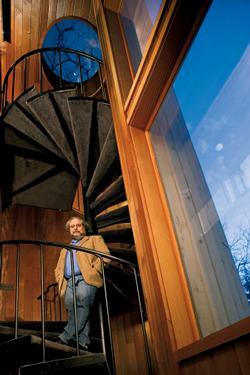 Large windows and a circular skylight splash natural light onto the spiral staircase in the entryway of Bob Wilkoff’s Cabin John home. The floor-to-ceiling panel that acts as a backdrop to a wood stove dividing the living and dining rooms is actually Petrarch, an inexpensive synthetic building material that imitates black slate. 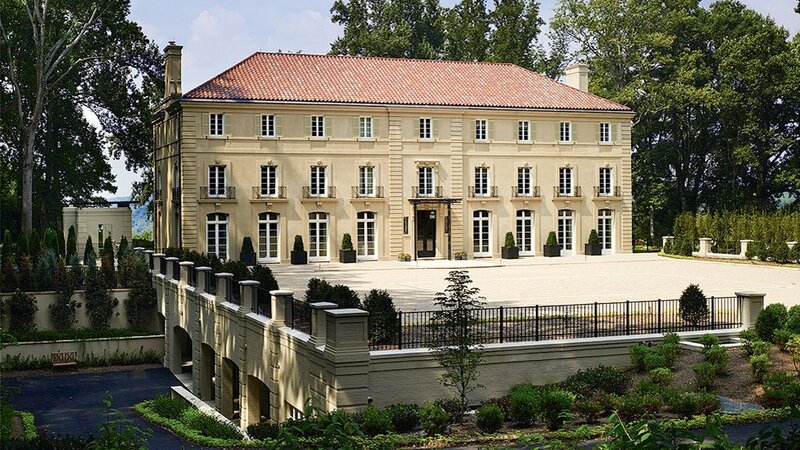 The biggest savings was on construction, which Wilkoff did with his wife and father over four years, spending only $38,000 on the 1,700-square-foot home. The Wilkoffs do struggle with space constraints. They hadn’t anticipated their two daughters when they built the house, and the small lot didn’t allow for much more footage anyway. Worse, Wilkoff is a collector. Fortunately, what he collects—beautiful musical instruments—makes for perfect artwork. The home also served as workspace for Wilkoff and his wife, Martha, who is the office manager for their firm, Archaeon. When a second-floor greenhouse was taken out by a tree in a storm, he converted that area to more practical use. The all-white, contemporary 1,000-square-foot office departs considerably from the home’s earthiness, but the two float remarkably well together within the cedar exterior. Only the striking spiral staircase is visible through the front windows. 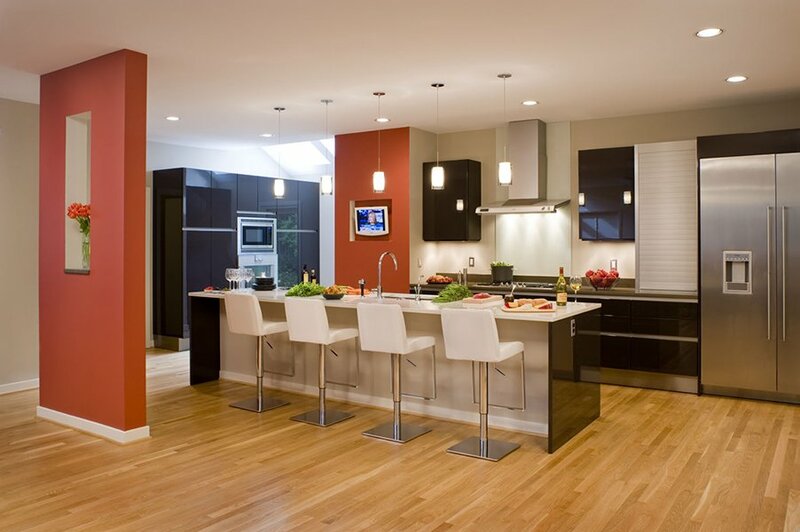 This article is part of the 2008 Great Home Design package. To see the rest of the package, click here.